Last event. Mary has done an excellent job. Especially as it was a last minute replacement for Frederik. Mary's chambermaid visited Åbo Svenska Teater. I notice security stayed far back during this visit. And I didn't recognized any PET officers, so I guess it was Finnish security who provided the bodyguards. "During the recent visit to Finland, H.K.H. 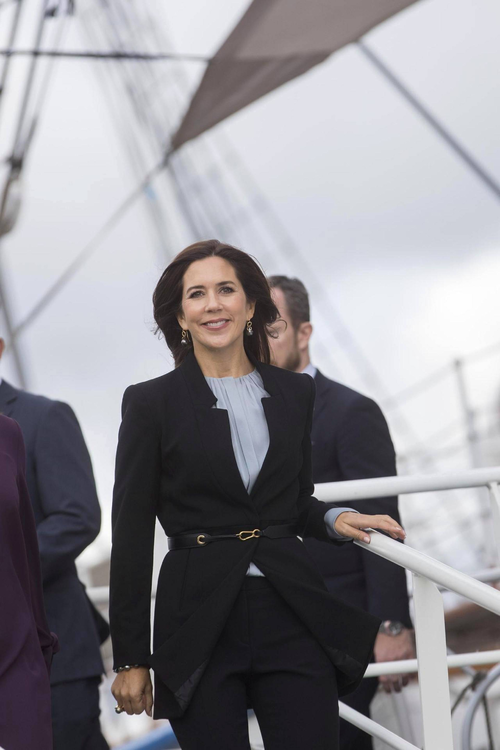 The Crown Princess has several bouquets of flowers, and two bouquets from yesterday are now attached to the memory of Danish fallen in the Finnish winter war 1939-1940."